Dig for ancient Viking treasure at the Dublinia Big Dig. Put your hard hat on and get your hands dirty to experience life as an Archaeologist. The Big Dig is all included in your entrance fee to Dublinia! 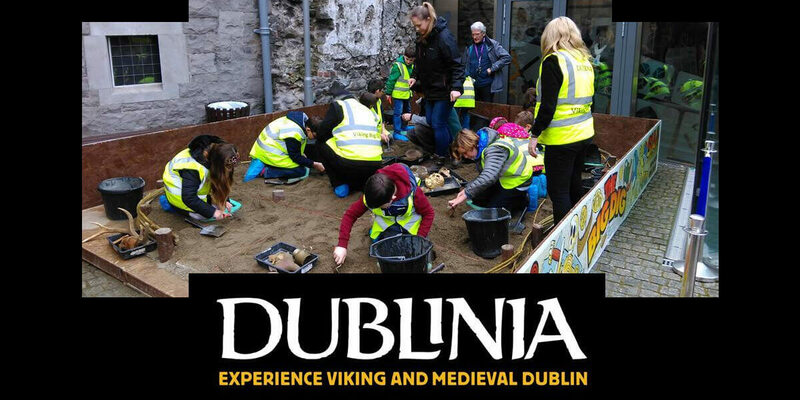 So come and join the Big Dig in the grounds of Dublinia from the 24th to the 27th of April, where visitors will get to take part in our very own simulated archaeology excavation. It promises to be a fun packed family event where children will get a chance to discover how archaeologists excavate and hopefully find some artefacts and treasures of their own. Dig Times are at 10.30am/11.30am/12.30pm/2.30pm and 3.30pm. No booking is necessary and entrance is part of the normal admission price.